It was the year of moving hearts and minds. Facing dwindling viewer numbers, the Emmys promised to be a more inclusive and entertaining event in 2018. While there were no shock winners, there were some surprising (and heartfelt) moments. Glenn Weiss was already having a good night when he won Best Director for a Special (The Oscars — Hollywood, am I right?) but decided to make it the best of nights. Weiss said his mother, who died two weeks ago, told him to “never let go of his sunshine”. “Jan, you are the sunshine in my life,” Weiss said. Australian comedian Hannah Gadsby brought her same style of firebrand comedy to presenting an Emmy as she did to her Netflix special Nanette. Golden Girl Betty White proved she can still make them laugh at the ripe young age of 96. “It’s incredible that I’m still in the business and you are still putting up with me,” White said. White has never won an Emmy, but she has been nominated 24 times. 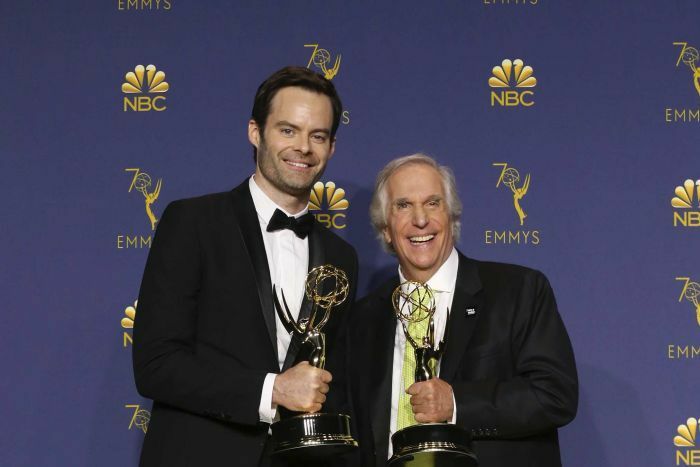 In 1976, Henry Winkler received an Emmy nomination for his role as Fonzie in Happy Days. He didn’t win that one, but he did write an acceptance speech. Today he got to make that speech. 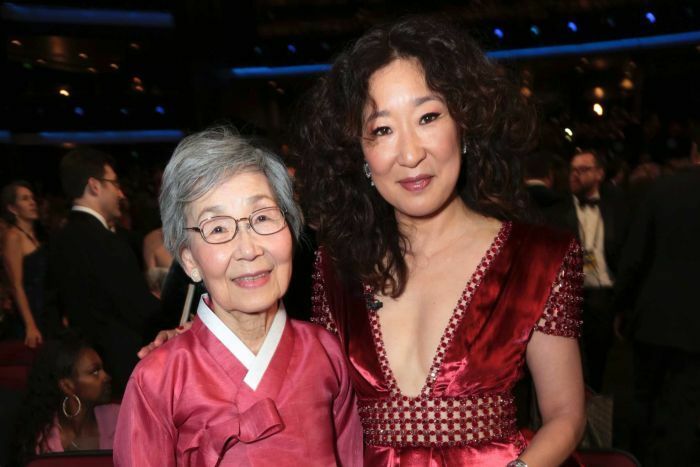 Sandra Oh was the first Asian woman to be nominated for a lead actress Emmy for her role in Killing Eve. So who better to bring along to the awards ceremony than her parents? Oh, who is Korean-Canadian, previously received five supporting actress nods for Grey’s Anatomy. Only thing is, she didn’t win. The statue went to Claire Foy. The Crown’s Claire Foy and The Americans’ Matthew Rhys both won the award for best actress and actor in a drama series. But the nod to their performances comes after the final curtain has fallen. Foy won her first Emmy for her performance as Queen Elizabeth, a role that has now passed onto Olivia Colman. “I dedicate this to the next cast, the next generation, and to Matt Smith,” Foy said. Rhys claimed his statue for his role in the final season of The Americans. Westworld actress Thandie Newton won the Emmy for supporting actress for her role as Maeve. Visibly shocked, Newton took to the stage to thank God before suffering a slip of the tongue. “I don’t believe in God but I’m going to thank her tonight,” Newton said. 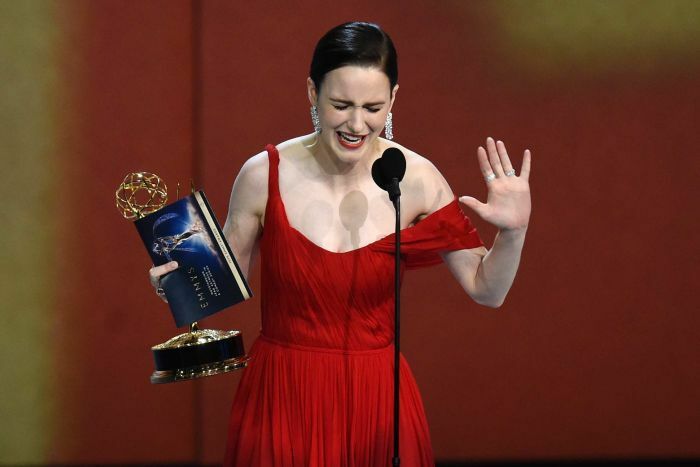 Amazon’s The Marvelous Mrs Maisel became the first streaming series to win top Emmy comedy honours. Overall the show had five wins including best actress in a comedy, Rachel Brosnahan, and best supporting actress in a comedy, Alex Borstein. “It’s about a woman who’s finding her voice anew, and it’s one of the things that’s happening all over the country now,” she said. Brosnahan also urged the audience to exercise that power by voting. 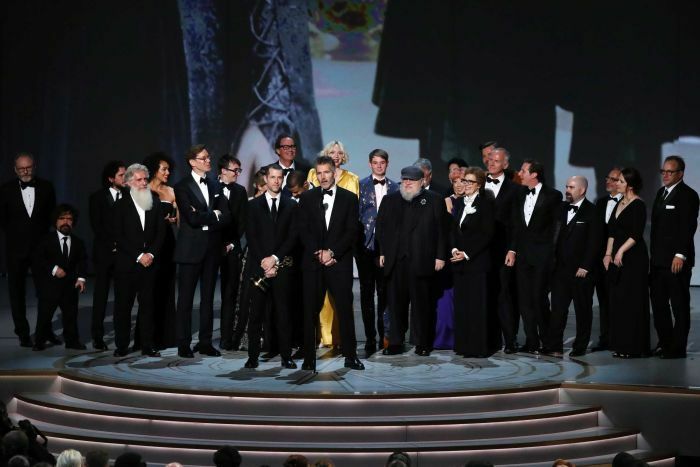 It’s been over a year since the last Game of Thrones episode went to air, but the series crushed the awards like the Dothraki crushed the Lannister army. The show won the Emmy for best drama series while Peter Dinklage won the supporting actor trophy. “Thank you for letting us take care of your people,” producer DB Weiss said to George RR Martin, whose novels fuel the drama.